Oops! 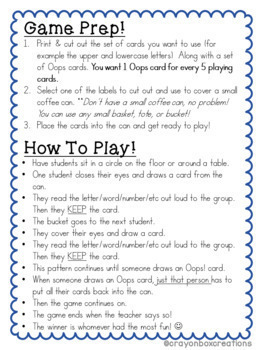 is a great game to have in every classroom! It is 100% customizable - to benefit all your students! 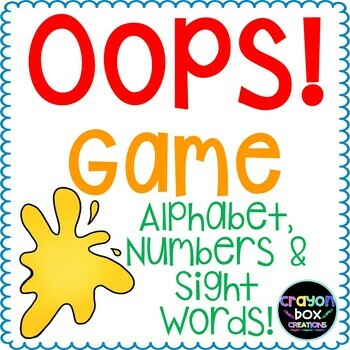 This Opps Game includes uppercase, lowercase, numbers 0-100, hundreds & over 150+ sight words! Prep Is Quick & Easy! 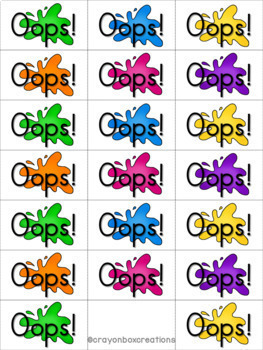 Just print the cards you want along with a set of Oops cards. Place them in a small coffee can, basket, bucket or tote & Play! Have students sit in a circle, one student draws a card (no peeking!) and read the word/letter/number out loud and keep the card. They pass the bucket to the next friend, and the game continues. When someone draws an Oops! card, they must put all their cards back into the bucket and the game keeps going! 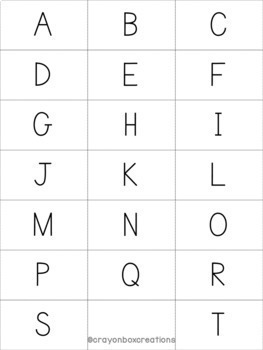 Only working on certain letters of the alphabet? Just use those cards and a few Oops cards! You could use just numbers 0-20, or use numbers up to 50, or numbers all the way to 100! There are over 150+ sight words complied from the top sight word lists. Don't see a word you need?! Email me at crayonboxcreations@gmail.com and I'd be happy to add it to the game! Looking for more games your students will love?